Congratulations to the University of Texas on its receipt of an $18.5 million grant from the National Science Foundation (NSF) to create and lead a nanosystems engineering research center. The new research center, called the Nanomanufacturing Systems for Mobile Computing and Mobile Energy Technologies (NASCENT), will use the funds to develop new nanotechnologies that will lead to product innovations and job creation for Austin-area engineers. 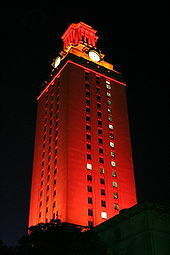 The University of Texas remains a national leader for engineering and technology research and development. Today’s grant recognizes the talent and skill of UT engineers and students, and places the future of our nation’s products and innovations in their hands. This is a tremendous achievement by UT faculty and researchers, and it benefits all Austin-area residents, consumers and job seekers. This grant and the work of the new UT research center will bring big advancements to the world of small technology. And it means better educational opportunities for UT undergraduate and Austin-area students who are interested in pursuing careers in science, technology, and engineering. According to the University of Texas, several industry partners will participate in NASCENT, including Texas Instruments, 3M, Lockheed Martin, Applied Materials and Corning, Inc., among others. The center plans to administer a pre-college program, identifying middle and high school students to participate in fellowships with the center and its partners.